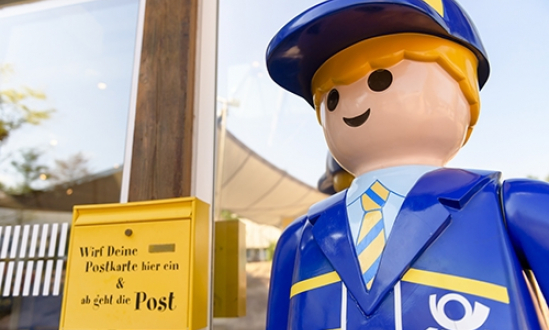 The PLAYMOBIL-FunPark is a place of happiness and the safety and security of our guests and staff is our highest aim. Therefore we desided to have security checks at the entrance. That means that bags and backpacks will be checked by an external security company. Due to these security checks there might be delays at the entrace. We kindly ask for your understanding and your help. To avoid long waiting times we ask you to bring as less baggage as possible and at least bring one bag with you. Please do not leave your baggage unattended. Also in our playing areas the safety of children is our highest aim. Therefore the playing equipment will be checked regularly and is also inspected and approved by the external product security institution TÜV. We only use certified equipment and material to offer best quality and safety in all circumstances. All attractions and playing areas where children can climb, balance or slide are fitted out with the right floor covering to guarantee the best fall protection.